Originally posted 3/20/2011 at Blogarhythms. OK. This is a slight departure from my normal discussion of extremely affordable wines, but I thought it might be interesting nonetheless. I recently had the chance to drink a bottle of a nice Mexican wine. Now, I don’t normally equate Mexico with wine production, so I wanted to share my tasting notes. Notes: I had this wine at a restaurant and was quite surprised! It has a nice bright citrus core with notes of oak, butter and artichoke. Plenty of acidity to handle foods yet also more viscosity than the average Chardonnay. For the price (it was more in the restaurant, of course), it won’t go on my “best buy” list. Still, I thought it was a very interesting drink and worth investigating. Originally published 4/17/2011 at Blogarhythms. Notes: I’ll make this brief. For a wine that labels it’s Chablis as Chablis Blanc, I was pleasantly surprised. Did it knock my socks off? No. But it presented a nice solid core of white peach flavor and plenty of acidity to stand up to food. I’d buy it again for the price. Yes, I would. If you’re looking for a pleasant wine to drink at a summer get-together, this wouldn’t be a bad buy. Especially if it’s outside and your attendees aren’t wine aficionados. If they are, then you need to look elsewhere. Important: I am not a professional sommelier or wine connoisseur. I have taste buds, however, and know what I like. Oh, I have heard folks talk about the inexpensive yet surprisingly tasty wines at Trader Joe’s. But I haven’t been really close enough to one of their stores to make it a priority when there are plenty of other places to get wines close by. With a Trader Joe’s going in fairly near me recently, however, I had run out of excuses. So I did it. I went wine shopping at Trader Joe’s. OMG! That’s a lot of wine in that there store! Loads of selections under $15. Plenty of bottles under $10. And to my amazement there are quite a few wines under $5. Yes, that’s right – under $5. As Oeniphilogical (this blog) is focused primarily on wines that could be considered “budget-friendly,” I went for it. I picked up 3 bottles all under $5. Ha! So over the next few days and weeks, I’ll be sharing my experiences with my Trader Joe’s booty. I’m looking forward to this new adventure. Who knows what treasure those bottles may hold? If all goes well, I may even have to do this again … and again … and …. Originally published 6/4/2011 at Blogarhythms. 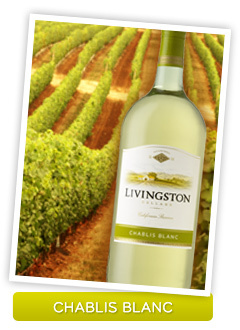 Summer is here, so nice crisp white wines are what many of us will be looking for as we seek to cool off from the heat. Thus, I tried the ’09 Pinot Grigio from Meridian. The selection is just what the varietal should be – light and enjoyable. A bit more fruity than the European style PGs, but that suits my palate just fine. Notes: Meridian – a solid performer in my book – has done a good job with this Pinot Grigio. 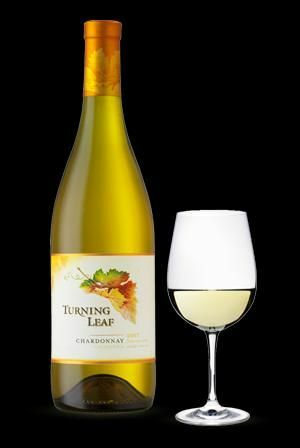 It’s light with lime, peach and nectarine fruit flavors. Nicely viscous for a PG but not in any way heavy. There was also, I thought, a sort of smoky spicy note on the finish that I couldn’t quite put my finger (or taste buds) on. I liked it. Important: I am not a professional sommelier or wine connoisseur. I saw Lindeman’s Bin 90 Moscato on Food & Wine’s “Best $15 And Under White Wines” list recently. While my local store didn’t have the Moscato, they had plenty of other selections from this prolific Australian producer, so I grabbed one and gave it a go. Notes: At the outset I found this Cabernet Sauvignon pretty tight with limited very dark fruit flavors, a lot of pepper, touches of leather, tar and licorice. On the finish it had a bitter zing much like camphor. Tannins were extremely light in this dry red (13.5% alcohol), so this is not a bottle to cellar long. As the wine breathed, however, it did relax a bit. It took quite awhile – over half an hour – for this wine to catch it’s breath, so-to-speak, at which time the darker fruits broadened into a pleasant background of cherry. At the same time it didn’t lose much of the rest of the more strident flavors mentioned, including lots of pepper and that zip at the end. If you prefer more of an attack on the palate, pour it and drink it. If you’re looking more for the fruit flavors, I suggest you open it early, decant it, and let it oxygenate a good bit. It’s an interesting wine and will probably pair well with red meat. Originally posted 7/10/2011 at Blogarhythms. Here’s a pleasant California Shiraz to look for. Notes: While I think of Shiraz as an Australian varietal, it’s popularity has propelled some U.S. winemakers to begin growing the grapes for our domestic market. As such, I think this selection from Woodbridge is pretty decent. For me it has a good core of blackberry flavor with an interesting raisin chaser. Add to that some spice notes and moderate tannins. All-in-all an OK experience.